CYNTHIA J KOELKER , MD is a board-certified family physician with nearly thirty years of clinical experience. 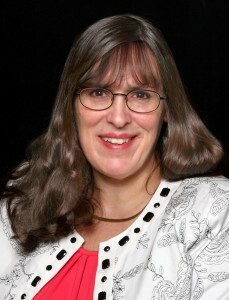 A member of American Mensa, Dr. Koelker holds degrees in biology, humanities, medicine, and music from M.I.T., Case Western Reserve University School of Medicine, and the University of Akron. She served in the National Health Service Corps to finance her medical education. The author continues to practice medicine in Akron, Ohio where she resides with her family and beloved golden-doodles. To contact the author, leave a comment in the box below, or email DocCindyatArmageddonMedicinedotnet. Good afternoon, ma’am. I am one of the coordinators for a homesteaders group in the heart of Missouri’s Ozarks. We would like to send several of our members to training but realized the next 101 class in Bessemer was a bridge to far for us. Would appreciate being added to any email list or notification roster for future classes and we will keep checking back. A little warning from San Diego… your class will not be full. I know this because of other similar events in this region. There have even been cancellations. BUT, if you come anyway, I will personally book you a hotel, pick you up from the airport, drive you wherever… AND take you and your family to SeaWorld, the world famous San Diego Zoo, the beach at LaJolla Cove, the mountains, whatever you like. My sister was an MD just a bit older than you. I don’t talk much and I won’t be at all offended if all you want is taxi service. PLEASE COME, even if you modify your workshops so you can spend the bulk of your time on vacation. San Diego needs you. First, let me thank you for spectacular website that’s ladden with truly useful information. I just registered. My wife is an insulin dependent Diabetic Type 1. We’ve managed to stash a cache of insulin to keep her going through the first phase of the inevitable. I found the password protected article Insulin Recipe. My current password (used for registration) doesn’t work. Is there another password needed and how do I acquire it? I’ve been prepping for a while now and I think I could weather just about anything except watching my wife slip away in a coma. One more area to address. My son and I both have AT3 Deficiency. His is very brittle and had caused him some major damage. Is there anything out there that could replace Warfarin, OTC, rat poison? Anything? We both take 10 mg per day. I’m going to try to get my doctor to set me up with a years worth for both of us but if that fails are then any other avenues. From everything I’ve seen it’s pretty much a dead end street. I’ll be purchasing your book ASAP after the rent is paid. Count on it. Please clarify your intent for mentioning assisted suicide in the description for Workshop 102. Not only is the practice immoral, it is illegal in 46 states. Even a neutral stance is partially a “yes” and so is unacceptable. I could not endure being instructed in how to perform it, I could/would not remain silent in your class, nor would I support you in the first place by signing up and handing over my money. I would love to interview you about survival medicine for my blog, readyfortheworst.com. Please let me know if you’d be interested, and we can decide what you’d like to share. I hope to hear from you soon. Hi just a question about people who have autoimmune diseases any advice on how to cope with Crohn’s disease, lupus, colitis. What if anything can replace prednisone? What if you need a bowel resection? My password is no longer working. How do I reset it? Thanks for all your phenomenal work! I believe you just have to sign up again and get a new PW. 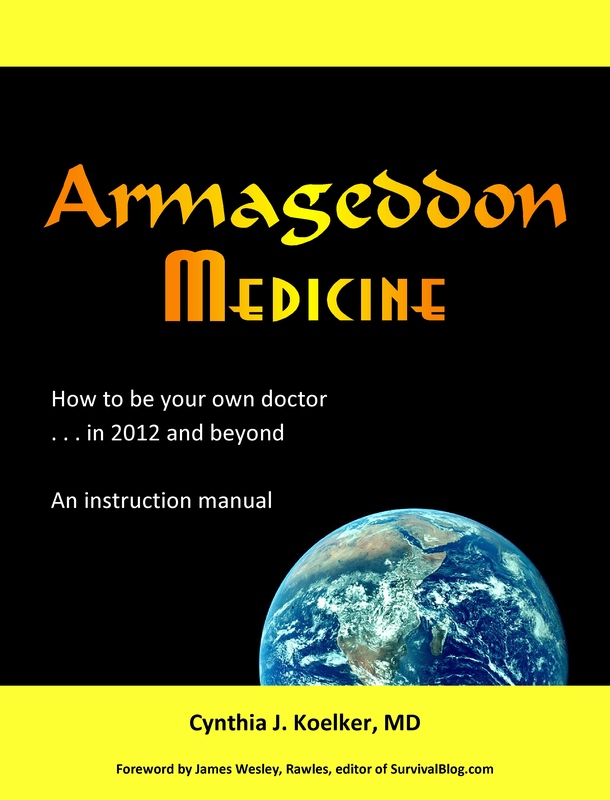 Great site, I ordered your newest book, Armageddon Medicine, and cannot wait to review it. I have a question I wish you would cover. What about those with chronic infections like otitis media? If it is already antibiotic-resistant what can you do if you are in a “grid down” scenario where normal medical channels are not available? I just ordered a copy of Armageddon Medicine and requested an autographed copy along with the offer for free CD. Is this a hardbound copy? I wanted to get a hardbound copy and am willing to pay the difference if what I ordered is not a hardbound copy. Can you please confirm and let me know what I need to do? I just ordered so I’m sure it hasn’t been shipped yet. Thank you for making this valuable resource available to us. I have been enjoying it, and learning from it, for the past several months. I just tried to order a copy of your book “Armageddon Medicine”. I am not sure if the order went through. Could you please confirm? Also, could you please autograph my copy? Good evening Dr K. On Survivalblog.com, there have been a few articles written lately on Silver Spoons, the use of colloidal silver. Some opinions state it is OK to swallow it while others say do NOT swallow any. Could you offer your advice on its use for us? I have been thinking of making it but I want to know the risks besides the benefits. Thank you. A few places to start . . .
Use of silver preparations to treat infection – Part II. Another useful link is: http://silver-colloids.com/, which also features a free downloadable book at http://silver-colloids.com/Book/SilverColloids-s.pdf. How accurate is this statement? Would dividing tablets with this warning be acceptable in a TEOTWAWKI situation? Good question, and one worthy of a full reply. The short answer – it depends. I will post a more complete answer as a full article soon, so keep posted. Thanks for the great articles. Do you know what places sell minor surgery kits? Both Moore Medical and Henry Schein offer such kits, but I’m not sure if they’ll sell them to non-professionals. You can find them online and give it a try, though. Good evening Dr. Koelker. You have posted a few articles on obtaining prescriptions from our physicians for prepping purposes. If obtained, does storing them in the freezer (at least until there is no electricity), prolong life expectancy of the drug? Though I can find few published studies on the topic, there is at least some evidence that freezing actually decreases the shelf life of certain drugs. Every medication has optimal storage temperature printed on the label, usually in the “room temperature” range. A few list lower temperatures and some refrigerator-level temps. I’ve had readers from tropical countries write to say they need to keep their medications refrigerated in their hot, humid environments. For any specific drug you may be able to contact the manufacturer for an unpublished study. It does make most sense, however, that stability would be optimized for room temperature conditions, with typical levels of humidity. Wonderful site! Getting reliable, credible medical information from a survival/preppers perspective has been much needed. I’ll be sure to mention you on my site, http://www.SHTFblog.com. I think readers will also find your site valuable. Keep up the good work. I was reading your article about antibiotics on SurvivalBlog and found it very informative and to the point. Again thank you for a very informative and useful article.